Hornady Custom Handgun Ammo. 460 S&W Magnum, 200 GR, FTX. Box price, 20 Rounds/Box. 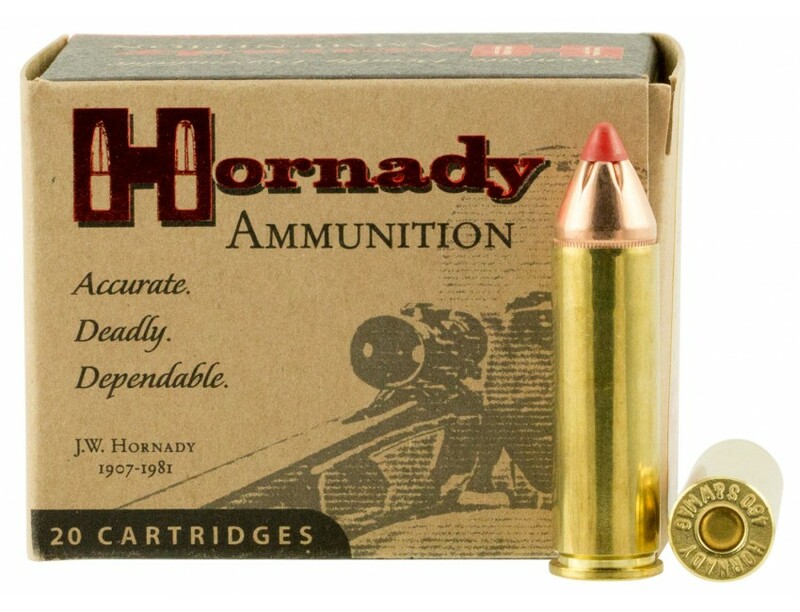 Handgun shooters looking for supreme accuracy and maximum knock down power have come to rely on Hornady Custom pistol ammo. The brass is selected to ensure it meets unusually high standards for reliable feeding, corrosion resistance, proper hardness and the ability to withstand maximum chamber pressures. Powders in each cartridge are loaded to ensure optimal pressure, velocity and consistency from lot to lot.